Optimum Nutrition is finally getting serious about its pre workout game with the release of the clinically-dosed Pro Pre. While the pre workout market has been over-saturated with a slew of top pre workouts, there’s been a few huge companies missing a fully-loaded, clinically-dosed pre workout. Well, one of the biggest names in the business can now consider themselves back in the hunt for best pre workout available in Optimum Nutrition. ON recently unveiled their newest pre workout — Pro Pre — which looks to deliver the goods, in full force, to its droves of fans around the globe. This has been a long time coming – the brand that’s well-known for basic products like ON 100% Whey Protein Gold Standard has struck out a couple of times on the pre workout front. ON’s Gold Standard Pre Workout was a bit too much money for being a two-scooper, and we aren’t even sure what was going on with Platinum PRE-, which tasted like hot sauce thanks to its hot pepper extract. So is the third round the charm? Looks like it just could be! Optimum has certainly stepped up their pre workout game in Pro Pre. The product is bringing it all — pumps, energy, focus, and endurance. Unlike the Gold Standard Pre Workout, there’s no need to 2-scoop this product either, as it’s packing 300mg caffeine per scoop, a perfect amount to get anyone motivated heading into a grueling workout. 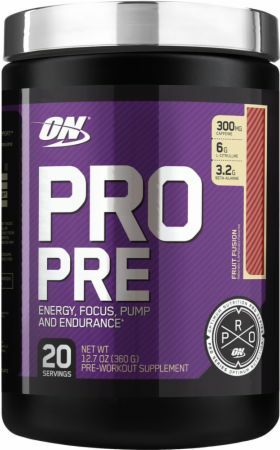 ON Pro Pre is chock full of well-dosed ergogenics to enhance energy, performance, and pumps. The trend lately in pre workouts has been moving towards 5-6g doses of pure L-Citrulline, and we for one are very happy to see Optimum following suit. Like most of the well-known pre workouts these days, ON Pro Pre includes the well-known endurance booster, beta alanine. 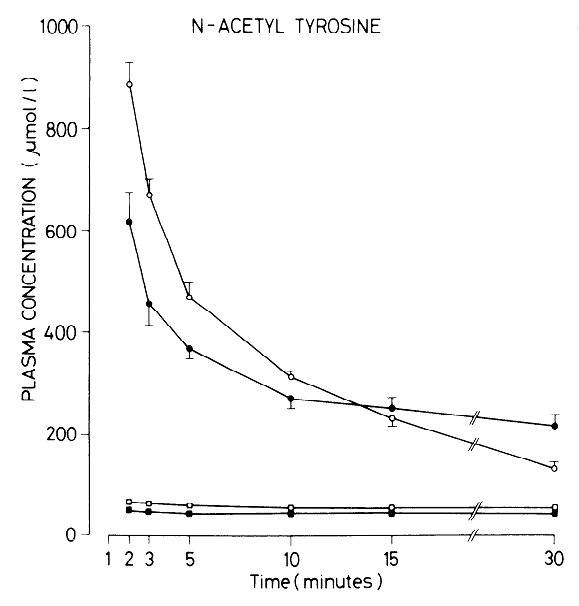 BA works with histidine (another amino acid) to increase serum carnosine levels in skeletal muscle, enhancing their ability to buffer lactic acid and offset the “burn” that sets in during prolonged activity. 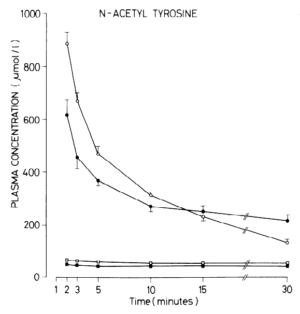 Beta alanine improves endurance, power, and strength, while reducing fatigue. [5,6,7] You’ll get the full 3.2g clinical dose here, which also brings with it a serious case of the tingles. 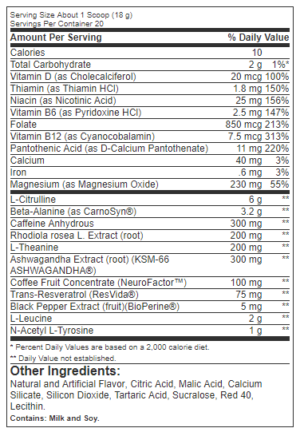 300mg of caffeine really seems to be the “sweet spot” for pre workouts these days. Most of the best pre workouts we’ve seen as of late include this dose, and it just flat out works. Given the ever-escalating need for caffeine by the masses, 150-200mg in a pre just isn’t cutting it these days for gym goers. The 300mg dose here is great for a strong burst of energy, focus, and motivation that won’t come with much jitters, and if it does, there’s plenty of caffeine. One of the more interesting facets of ON Pro Pre is its inclusion of two extremely powerful and popular adaptogens. The first of which is KSM-66, the premier form of ashwagandha extract on the market. All we can say is, it’s about time ON came out with a well-dosed pre workout. Oftentimes we see either ashwagandha or rhodiola, but not usually both. This could provide a very unique feel to Pro Pre here. Theanine will take some of the “teeth” out of the energy rush, providing a smooth, controlled energy and focus feeling while training. NeuroFactor is one of the newest brain-boosting nootropics on the market with some pretty intriguing research behind it. BDNF is a protein in the brain and nervous systems that plays a key role in neuron development and repair. It also protects against neurodegeneration and supports memory, learning, alertness, energy metabolism, and mood. The issue with resveratrol is its poor bioavailability, which gets significantly improved with our next ingredient. 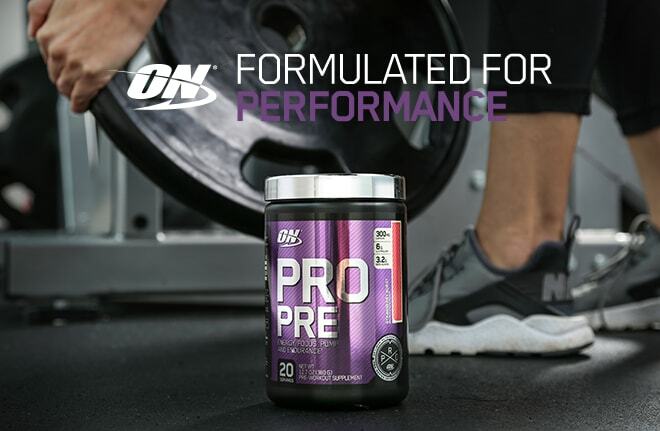 ON Pro Pre is formulated with maximizing your performance everyday in the gym. Included to enhance the absorption of all the other ingredients (like ResVida) in Pro Pre, which is good, because there are A LOT of actives going on in here folks. The “king” of amino acids and leader of the BCAAs, leucine makes an appearance in Pro Pre at a somewhat questionable 2g dose. Is it included here to stimulate mTor? Enhance muscular energy? Make keto dieters happy? We’re not really sure to be honest as the 2g dose really isn’t enough to stimulate mTOR (2.5-3g is needed for that, at minimum),[21,22] but there’s really never a complaint with leucine. As a ketogenic amino acid, it doesn’t spike blood sugar like the other glucogenic amino acids, so low-carb and keto-dieters will be especially happy. So despite the short dose, we’ll take it anytime, anywhere. Still the 1g dose here is commendable and should help boost focus a good bit, in addition to reducing stress. Optimum is launching Pro Pre with three flavors that are considered extremely safe, and in all likelihood, have the broadest appeal. If the product is successful, we’ll probably eventually see more flavors, so sign up for alerts on this one below and we’ll notify you when we find better deals and newer flavors. Here’s what you can expect from every scoop of the new ON Pro Pre. Compare prices on all Optimum Nutrition supplements with PricePlow! All we can say is… it’s about time these globally known companies started stepping up their pre workout game to match that of the small and medium-sized brands that have been dominating the pre workout landscape the past few years. Dymatize Pre W.O. was a fantastic release from a major competitor, so it was time for Optimum to respond in kind. ON Pro Pre is a well-rounded formula that should land well with the masses, but as with everything, it boils down to how well it’s marketed and priced. 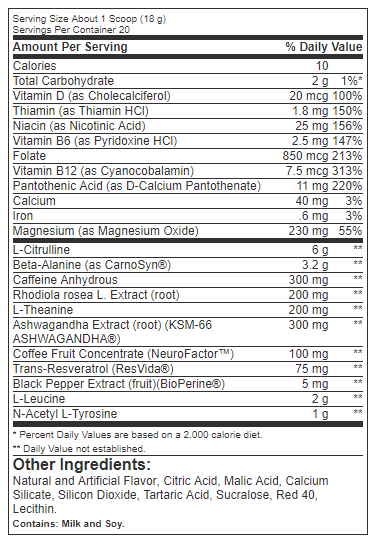 We’re interested in the combination of Ashwagandha, Rhodiola, and NeuroFactor. This one should feel pretty special. 46 Comments | Posted in New Products, Supplement News | Tagged Ashwagandha, Beta Alanine, BioPerine, Black Pepper Extract, Caffeine, CarnoSyn, KSM-66, L-Citrulline, L-Theanine, Leucine, N-Acetyl L-Tyrosine, NeuroFactor, Optimum Nutrition, Pre Workout, Pre Workout Supplements, Resveratrol, Rhodiola, Rhodiola Rosea. Choudhary, B., Shetty, A., & Langade, D. G. Efficacy of Ashwagandha (Withania somnifera [L.] Dunal) in improving cardiorespiratory endurance in healthy athletic adults. (2015). Ayu, 36(1), 63. Wankhede, S., Langade, D., Joshi, K., Sinha, S. R., & Bhattacharyya, S. Examining the effect of Withania somnifera supplementation on muscle strength and recovery: a randomized controlled trial (2015). Journal of the International Society of Sports Nutrition, 12(1), 43.